Editable Sight Word Roll and Write - Ratings and Reviews are appreciated! This download is perfect for review of specific word wall words! 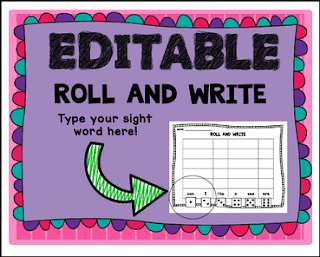 Edit 6 word wall words so students can practice rolling and writing what they have been learning in YOUR own class. Check out my new Editable Word Wall Words PDF!